With the festive season fast approaching, it is essential that you are fully prepared to avoid the holiday panic. Whether you are a business preparing stock for a busy holiday sales season, or a homeowner looking to organise your home in time for Christmas, we are confident that our weighing scales can help make your Christmas a whole lot easier. Don’t believe us? Continue reading out five-point checklist to find out more. 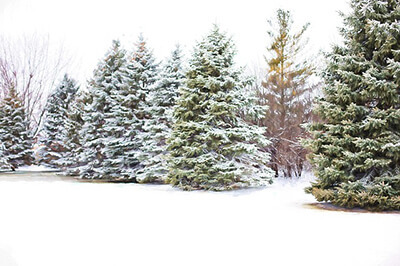 The centrepiece for any home during Christmas, the Christmas tree is a prominent part of the Christmas experience, and choosing your Christmas tree cannot be taken lightly. Whether you prefer a hardy Nordmann fir or Scots pine, you need to consider the size of the tree in relation your room. Although most people buying a Christmas tree only need to consider it’s size in terms of inches to measure the length and width of the tree, if you own a business that sells Christmas trees you may want to invest in a weighing scale. Why use a weighing scale? Heavy duty scales or pallet weigh beams can be set up in order to weigh single or multiple Christmas trees. If you are responsible for shipping or delivering trees as part of your business it is essential that you know the weight to ensure that your delivery vehicle has the correct weight limit to handle the load. In addition, some traders may use weight in order to set shipping and delivering costs. Adam AELP Pallet Beams – Versatile, low-profile product that includes two horizontal bars that can be moved closer or further apart depending on the object being weighed. To make the most of your Christmas experience you may decide to stay in a log cabin or go on a skiing trip. 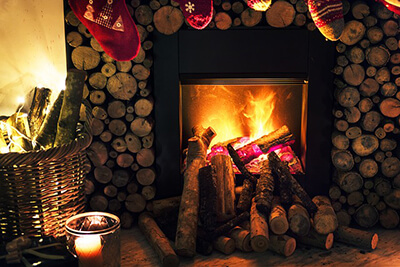 Whether you are looking to venture out or stay indoors, a log fire provides the ultimate finishing touch for a cosy Christmas. To keep your fire burning, you will need to ensure that you have an ample supply of firewood to hand. Cold and wet conditions may make firewood unsuitable for burning, therefore you need to make sure that you have stored your firewood in a cool, dry storage space. By using a Moisture meter, you can test the moisture content of your firewood to ensure its suitability before burning. Whilst moisture meters are not required, they can be used to check that wood is safe to burn. Too much moisture may cause dangerous levels of smoke in non-ventilated areas, which, if inhaled, can cause damage to the lungs. Our range of Reed wood moisture meters are portable, compact and convenient. These moisture meters can be safely stored in the home or garden shed and make ideal travelling measurement devices. 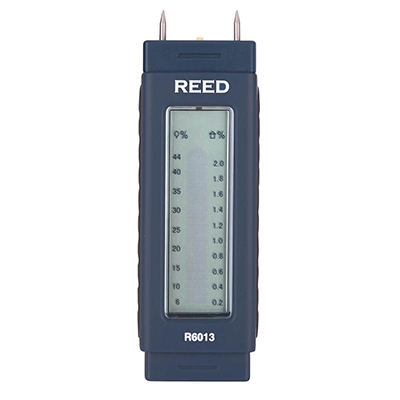 Reed R6013 Wood Moisture Meter – Digital pin moisture meter for logs, ideal for precise moisture content determination. Writing Christmas cards, wrapping presents and sending gifts require forward planning to avoid last minute stress. 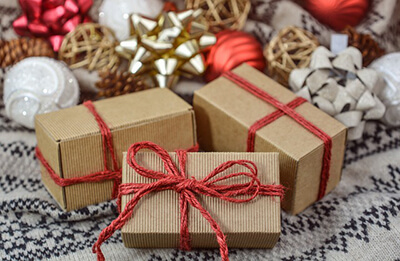 Retailers require meticulous organisation in order to meet the demands of consumers over the Christmas period, therefore it is crucial that your delivery process is as streamlined and straightforward as possible. Postal and parcel weighing scales are specially designed to weigh letters, packages and gifts in large numbers. Most parcel scales have built-in checkweighing functionality that is perfect for product manufacturing and packing warehouses. Shipping facilities use checkweighing to ensure that all manufactured products meet the desired weight limit before distribution, eliminating processing errors and reducing product returns due to missing parts. At home, parcel scales can be used to weigh presents in order to work out an estimated delivery cost before taking to the post office. A note from Inscale: Professional parcel and postal scales such as those used in post offices or those used in transport and logistics companies require trade approvals and can be used to determine delivery and shipping costs based on the product’s weight. IPS Parcel Scale – Reliable, low-cost platform Ideal for home businesses. CBK Bench Checkweighing Scale – A UK trade approved scale ideal for product manufacturing warehouses. When buying your Christmas turkey you will more often than not make your purchase by weight. But how you do you know that you are paying the correct price? Trade approved scales are used when buying and selling food products by weight, regardless of whether you are purchasing a pre-packaged product or over the counter. It is a requirement in the UK for food businesses such as butchers, fishmongers or delicatessens to weigh products on approved butchers scales or similarly approved food scales to ensure that customers are paying the correct price for the amount of product. 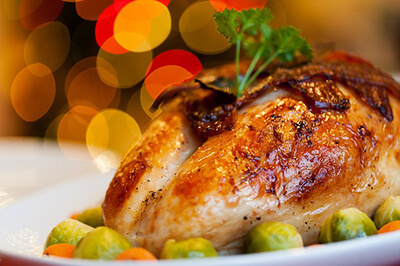 If you are buying a Christmas turkey to feed 6 people, you will want to be sure that what you are buying is enough and that you don’t have too little to go around on the day. Supermarket food products that state a weight value on the product label or are similarly sold on the basis of weight will need to have been weighed on trade approved scales. Many pre-packed food products will mention the number of servings the product provides; this will typically be based on a weight value per serving. If you are a business selling products by weight servings to supermarkets or restaurants, you will need to ensure that this is accurate to avoid being held culpable in the event of customer complaints. AZextra trade approved butcher scales – Ideal for butcher shops, delicatessens and fishmongers. The quantities used here can be doubled/ halved depending on the number of servings. Sieve 320g of plain flour into a large mixing bowl/ Pyrex dish. Add 150g of un-salted butter to the flour and rub in with your fingertips, until you have a fine breadcrumb consistency. (If you are using un-salted butter, we recommended adding a pinch of salt to the mixture). Add cold water to the mixture until the dough can be moulded into a ball. Place the dough back into the Pyrex dish, place cling film over the top of the bowl and place into a fridge for chilling for around 20 minutes. The quantities used here can be doubled/ halved depending on the number of servings. The ingredient quantities listed above should make more than enough for this recipe. Peel the apple, then finely chop dried cranberries, dried apricots, ginger and the apple. Place the apple and sultanas into a Pyrex dish with lemon juice for 30 minutes to an hour. Drain the lemon juice from the apple and sultanas and add the dried cranberries, apricots, ginger and mixed peel to the mixture. Add the sugar, ground nutmeg, lemon zest and suet to the mixture, then add a splash of brandy to the mixture and stir until you reach a spoon-able consistency. Store the mixture in a fridge for 1-2 weeks. After 20 minutes, take the dough out of the fridge and add flour to a worktop surface. To ensure that you have enough dough for the casing and the lid, cut the dough into two even sizes and gently roll out half of the dough using a rolling pin (until around 3-3 ½ inches thick). Cut out the selected number of circles (pie bases) using your round cutter. Once complete, use your selected cutter to cut the other half of the dough into a corresponding amount of shapes. Line your oven baking tray with butter and place each of the pie bases onto the tray, carefully pressing the centre of the pastry to make a curved bowl shape. 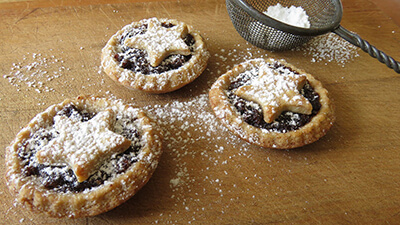 Add one teaspoon of mincemeat into the centre of the pastry. Once all of the pie cases have been filled, place the pastry lids on top of the mincemeat and carefully press the pastry edges to the edges of the pie bases in order to seal. Once complete, brush the pie lids using a beaten egg mixture. Place the pies into the top of a pre-heated oven at a temperature of 200°C (gas mark 6). Leave to bake for around 30 minutes. Once baked, place on a wired cooling tray and sprinkle with sugar and cinnamon. A note from Inscale: If you are a professional bakery you will need to ensure that you are using a trade approved scale applicable to your region for selling baked goods by weight. Browse our selection of trade approved baking scales. Inscale’s IWS Waterproof Scale – Includes easy-to-clean stainless steel top plate. A&D SJ Trade Approved Compact Scale – Approvals for buying and selling baked goods by weight. Adam Latitude Bench Scale – Perfect for accurate food portioning. Thanks for reading! We hope our Christmas checklist has been useful to you. If you require more information about any of the products seen here, please contact us. 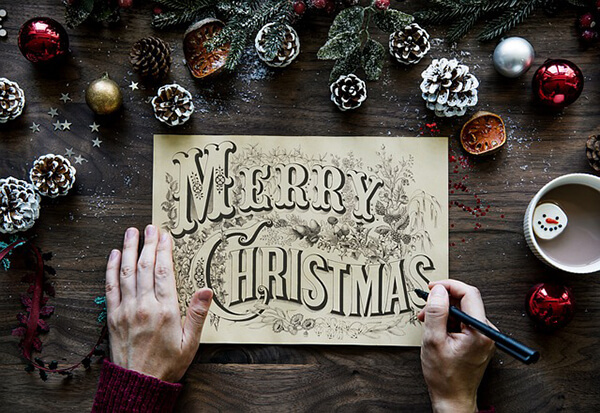 On behalf of Inscale, we hope you have a wonderful Christmas and a Happy New Year! We will soon be releasing some new customer case studies on our popular blog. If you would like your business to be considered for inclusion in a case study, with the potential to be viewed by thousands of people per month, then please contact us on web@inscale.co.uk. Along with a picture of your purchase(s) in use, we can describe how the product(s) helps your business, provide an overview of your business and link to your website.